Developments over the last four years suggest that the BJP's rise was largely due to the support it got from a conglomerate of corporate houses such as Ambanis, Tatas etc. More recent developments also show that there that the Government of India (GoI) is simultaneously making an all-out effort to undermine public sector units (PSUs) by selling or privatizing profitable production units. In fact, one finds that the party in power, as part of its preparations for the 2019 Lok Sabha polls, is increasingly asking corporate houses to take up all that the PSUs are doing. The opposition Congress, taking a political view of this development, considers this as corruption of the highest order. In June 2018, it issued what it called “BJP & Corruption: A saga of the last four years”, where it alleges that corruption has increased under the Modi government. 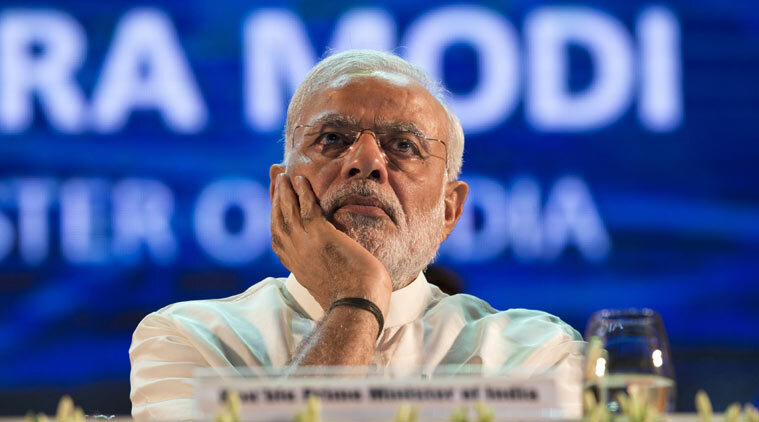 Notably, one finds that the Modi government is starting to suffer a setback. The CMS-India Corruption Study 2018, which covered 13 states (including six which are ruled by the BJP) and 11 public services, concluded that 75% of Indian households think that that the level of the corruption in public service has either increased or remained the same during the last 12 months. While 38% of households across India felt that the level of corruption has increased, another 37% of households felt that the level of corruption in public services has remained the same as before. Then, 27% of households said they experienced corruption at least once while availing any one of the 11 public services covered in the report. The number of the people who doubt Narendra Modi’s commitment to fight corruption in public life has increased in 2018. “Perception about Union Government’s commitment to reduce corruption in public services has seen a decline from 41% in 2017 to 31% in 2018,” the survey report says, emphasising that people in even BJP-ruled states have begun to doubt Modi government’s commitment to contain corruption. The Rafale deal appears to have contributed hugely. People are beginning to see how the state-owned HAL was bypassed for a private entity in a scam that cost Rs 1,30,000 crore. A deal was signed by the Modi government to purchase 36 Rafale jets at a rate much higher than what was negotiated by the UPA government. The Modi government has, ironically, refused to make public the price of the aircraft, saying a secrecy clause exists b etween India and France. However, this secrecy clause only binds India from revealing the technical specifications and operational capabilities of the aircraft, and not the price. French manufacturer Dassault has already released the total price of 36 aircraft, which is about Rs 60,000 crore. This makes the per aircraft price to be Rs 1,660 crore, as against Rs 526, as negotiated by the UPA. The UPA’s price included transfer of technology (ToT), and the state-owned Hindustan Aeronautics Limited (HAL) was to make 108 aircraft. Under the new deal, there is no ToT, and HAL, which has a good record in defence production, was superseded by Reliance Aerospace owned by Anil Ambani. Also, as pefr Dassault Aviation’s Annual Report, Qatar and Egypt brought the same aircraft at Rs 1,319 crore. No prior approval of the Cabinet Committee on Security committee was sought. There should have been only one reason for buying 36 aircraft, and that is if you are using it as a nuclear delivery platform. It has been argued that Rafale is being bought as a nuclear delivery platform. But even here, India has much better nuclear delivery options. If there was a requirement it could have modified the Bhramos missile to deliver nuclear weapons and launch those from Sukhoi-30. According to an RTI filed by Ramvir Tanwar in 2018,the BJP spent Rs 2,221.11 crore on advertising through electronic media. Recently , the "Economic Times" reported that BJP ads ranked number one across all channels in the five states which went to assembly elections – Madhya Pradesh, Rajasthan, Chhattisgarh, Telangana and Mizoram. The Narendra Modi government has spent about Rs 5,000 crore on advertising during his tenure of nea rly four-and-a-half years, which is equal to the Manmohan Singh government spending in the ten years it was in power. To meet the increasing advertising costs of BJP, the Modi government is resorting to different ways of corruption.